We opened our second location, Berges Institute Chicago, in February 2018. It was a lot of work, but it was worth it! Opening a Spanish language school in a new city is not an easy task. There were several things to consider: do a lot of people in Chicago want to learn Spanish? Will Spanish language students in Chicago prefer our Graf Method over the vocabulary and visual methods commonly used by other language schools? Learning a language is hard, we all know that. 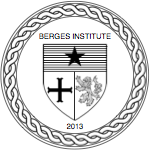 At Berges Institute, we’re committed to make the process smooth, fun and, above all, logical.